Our Indiana 62 NW Expansion In Corydon, IN is Now Complete! Reserve A Unit Today! REFERRAL SPECIAL: Refer a friend and both save $25 towards next month’s rent! View our storage unit size guide to help you determine what is the best size you need to store your items. 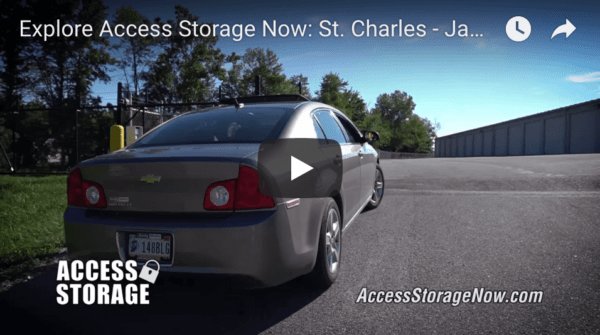 Looking to save big on self storage? Check out our specials and discounts today. Have a question? We have the answer and some helpful tips to go along with it. CREATE MORE SPACE FOR YOUR PLACE. in eleven locations throughout southern Indiana. environment for both residential and commercial customers. "The size was perfect for me as well as the price. The lady I was on the phone with was very nice and helpful. Helped me make a better decision on size and I appreciated it a lot"
"The price was absolutely amazing!! The facility is perfect! I love Access Storage! They were extremely helpful, the unit was clean and easy to access. They have a kiosk that allows you to complete everything right there and with NO wait. The price for my unit was $100 dollars cheaper than any other unit I could find...not to mention it is a 10 x 20 for $87.00 per month. All of the units I researched were over $170 and only for a 10 x 15. BEST STORAGE EVER." "Great place. One of the best place to store things- very clean and easy access to get to with great security"
"Easy access, great customer service. Was able to get into a storage unit on a Saturday! I called and was able to reserve a unit that day." "I just want to let you all know how pleasurable my 14 years of renting space from you has been. You keep your properties in great shape and the installation of the security fence and gate was super. Since my retirement a little over a year ago I just don't have the need of the storage unit any longer. Thanks for keeping my unit secure, along with all of my belongings. "